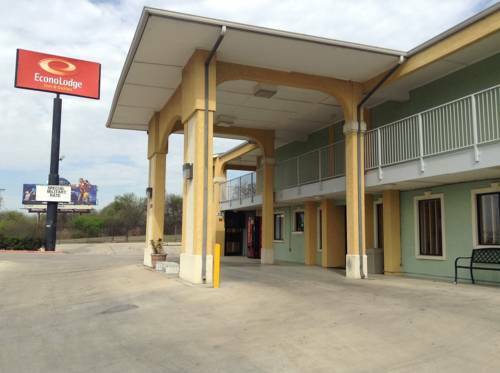 Newly renovated hotel with an outdoor pool and free wireless high-speed Internet access. Conveniently located off of Highway 35 North with easy access to all main highways. The property is just three miles away from downtown San Antonio and only 8.3 miles from the airport. Complimentary deluxe continental breakfast includes hot coffee, milk, variety of juices, bread and waffles. Microwave and refrigerator in all rooms. Smoking in non-smoking rooms is prohibited and will result in a 100.00 USD cleaning charge. Pet accommodation: 25.00 USD per night, per pet, in designated rooms only. Pet limit: maximum of 25 pounds.